Switzerland is a lovely and mountainous country located in Central Europe. It has many lakes, charming villages and the incredible views of the high peaks of the Alps. 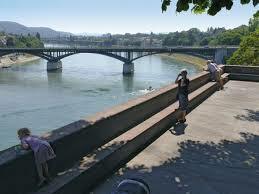 Our first stop is Basel found right where the Swiss, French and German borders meet. The city also has suburbs in both France and Germany. 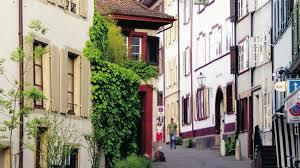 Basel’s Old Town has streets of cobblestone, interesting fountains, medieval churches and impressive architecture. In Marktplatz you’ll see the amazing rust-colored Rathaus or Town Hall with its frescoed courtyard. There is also Munster dating from the 12th century with its Gothic spires and Romanesque St. Gallus doorway. 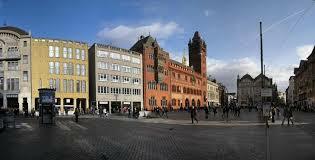 It is the Marktplatz that plays a major role in the lives of the residents of Basel. Every day there is a market here and you can find lots of delicious local produce in the market stalls, along with specialties from the region, Switzerland and even the rest of the world. 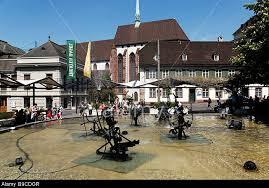 You’ll find lots of crowds in Theaterplatz with its unusual fountain that was created by Swiss sculptor Jean Tinguely. His fountain includes crazy scrap-metal machines that do a kind of odd water dance. 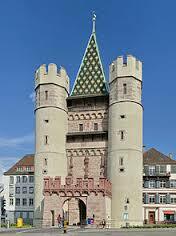 Get a look at the 700-year old Spalentor gate tower a remainder from the town’s old city walls. It has a huge portal and grotesque gargoyles. 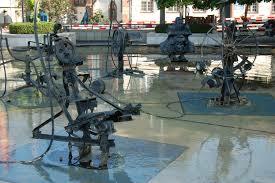 Tinguely Fountain by Swiss sculptor Jean Tinguely is a shallow fountain with black asphalt. It has mechanical figures that are powered by low-voltage current and seem to be playing in the water. Altogether there are ten iron figures always constantly in motion. At one time all of the important provisions and supplies needed were brought in through the Spalentor gate. The gate has a square main tower and on either side are two round towers. The facade which faces away from the city is decorated with three figures that date back to the 15th century representing the Madonna and two prophets. Visitors find the most amazing things at the Museum Jean Tinguely. 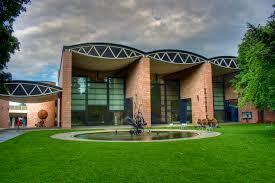 The museum was built by Ticino architect Mario Botta. It showcases the utterly crazy, interesting and unusual creations of sculptor Jean Tinguely. The “kinetic” sculptures here can be brought to life at a touch of a button. They are great fun to watch as they shake, rattle and twirl. On the upper floor you can listen to the haunting musical sounds made by the gigantic Meta-Harmonies. At the Museum of History you’ll find a large collection housed under the vaulted ceilings of the former church – Barfusserkirche. Here you can see applied arts, ceramics, weaponry and a whole lot more. The highlights here include “dance of death” mural fragments dating from the 15th century and a 16th century choir stall. Take a look at impressive Munster with its Gothic exteriors and Romanesque interiors. This 13th century cathedral was rebuilt after being destroyed by an earthquake in 1356. Renaissance humanist Erasmus of Rotterdam, who lived in Basel, is buried in the northern aisle. For awesome views climb up the Gothic towers. 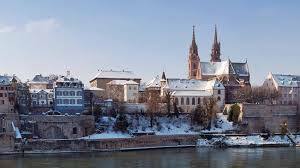 Behind the cathedral, Munster Pfalz provides lovely views of the Rhine. 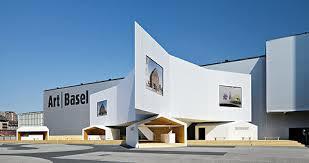 The Basel Museum of Contemporary Art was the first museum in the world to exclusively offer the art of the 1960s and 1970s. 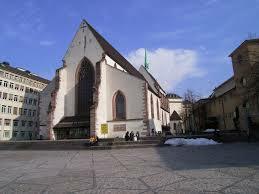 This is home to artworks from the Basel Public Art Collection and the Emanuel Hoffmann Foundation. Today you’ll find artwork by the Emanuel Hoffman Foundation which includes more than 150 artists. The collection includes artwork by renowned artists such as Joseph Beuys, Bruce Nauman, Dieter Roth and others. The Sculpture Hall Basel is part of the Museum of Ancient History. Here you’ll find 2,200 reproductions of statues, heads and reliefs. These make the Sculpture Hall the largest collection of this sort not only in Switzerland and one of the largest in the world. You’ll see plaster casts of Greek and Roman masterpieces. There is also a display of the detailed construction of the Panthenon and the Athena Temple of the Acropolis in Athens. The rest of the items have been copied, combined and exhibited in such a way that visitors recognize the historical form. There are miniature models of the Parthenon, Erechtheion and Propylaen. 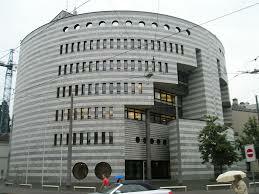 On Aeschenplatz you’ll be impressed by the BIS building designed by Mario Botta. This is a round building with two-tone striped natural stone wall and its “negative staircase” opening in the facade, which narrows as it climbs the side of the building. It was originally commissioned by the Swiss bank UBS and taken over by its present occupants in 1996. 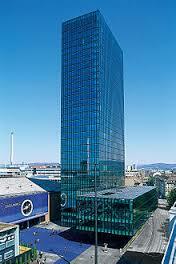 Another architectural wonder is Messeturm designed by Morger & Degelo. This is a 31-storey tower and is a landmark of the city. It is a green-tinted glass and metal structure. It houses offices and a hotel and on top you’ll find the BarRouge. 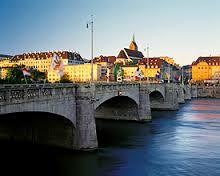 From the top you can get spectacular views of Basel and the neighboring countries of France and Germany. Stretching over the Gotthard Pass at one time The Mittlere Brucke was an international trade route in the 14th century. In 1905 the bridge was rebuilt to include electric tram lines. At this time a copy of the old bridge chapel – “Kappelijoch” was constructed to remind one of the original structure where once in the Middle Ages convicted criminals were sentenced to death. 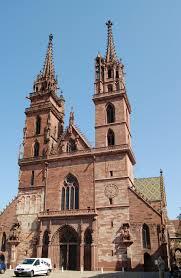 The word “Pfalz” is derived from the Latin word “Palatium” which means “palace”. This is a terrace located high above the Rhine and behind the Munster Cathedral. It was so named because it is located close to where the former palace once stood. On one side of the viewing terrace are steps leading down to the landing jetty of the Munster Ferry. On the other side you’ll find a small gateway leading to the quiet cloisters of the Cathedral. You can take a quiet stroll round the richly decorated gravestones of members of prominent Basel families from the 16th to 19th centuries.